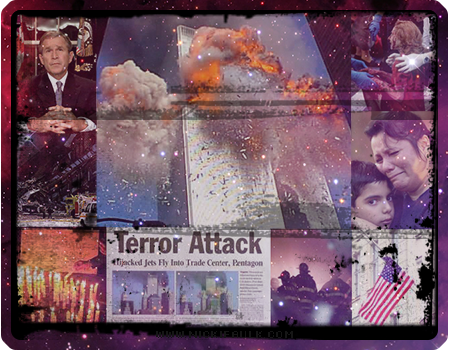 The anniversary of September 11th, 2001 is coming upon us once again. My initial plan was to ignore tomorrow, but I can’t really. Every year I’ve been re-posting the same thing over and over; just going through the motions, because I don’t want to process it again. I don’t want to really think about it. But I can’t avoid it. It’s all over the mainstream media. It’s all over social media. And let’s be honest, I’m not one who could easily forget something like 9-11. Some folks want to talk about where they were and re-live the first moments. Some want to re-analyze everything that took place and the nation’s reactions. I suppose it’s easy to look back with hindsight and point out what you would do, or should have been done, differently. We were all flying blind that day. I didn’t know it at the time, but I witnessed a historical event. To this day, I still have nightmares. It is not anger that fills my heart now, but grief. My country has not healed. It is now 15 years later and our wounds are still raw. Are we any safer? We’ve had some small forms of closure. But we still have enemies who actively taunt and strike at us. So where do we go now? Growing up I used to ask my grandfather about Pearl Harbor, but he never wanted to talk about it with me. Now I understand why. Sometimes you get tired of talking about it. You can’t forget it, even if sometimes you want to. I often wonder what he would think of the world today, of what has become of us over the last 15 years? But I look back and perhaps my best memory stemming from the events on 9-11 is how, for a brief period of time, we all came together, loving and helping one another. My beautiful country. My beautiful people. We loved together, we mourned together. We, the people, helped each other. We need more of that. I’m trying to do more of that with my life now. I could do more — maybe we all could. So here’s what I suggest we should do tomorrow: Have a moment of silence. Light a candle. Take a shot or three. Say a prayer. You do what you do to get through the day. You, my beautiful country, my beautiful people. Don’t forget those who made sacrifices, those who were lost. Honor their memory, and let’s honor ourselves by being better. We could all do better.